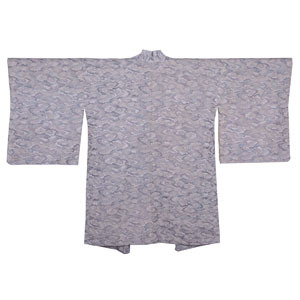 The Shimmering Silver Haori is a lovely secondhand jacket which could be worn as part of a casual or formal outfit. Condition: some small blemishes due to wear and storage (see images). Length: 84cm; Width: 60cm; Sleeve span:124cm.